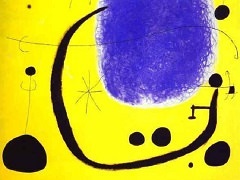 Using a copy of a self-portrait painted in 1937, Miro sketched a figure onto it, with strong black brush-strokes and a small number of emphatic colours. This may appear to be a somewhat barbarian act because it almost completely destroyed the delicate drawing underneath it. 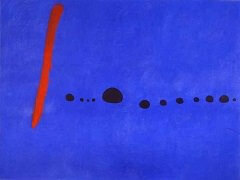 Yet it was characteristic of a new mood, a general feeling of radical change, which made Miro embark upon a new and immensely productive phase in the early 1960s. 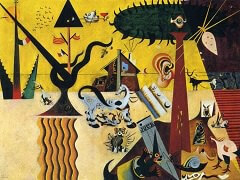 Miro attacked, as it were, an old picture of his - his old image - and thus also an idea which people had had of him and his art for years. 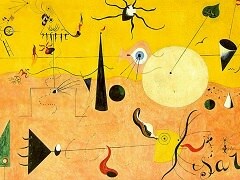 The hyper-sophisticated mannerist had to give way to a new Miro who was full of fresh energy and vitality. 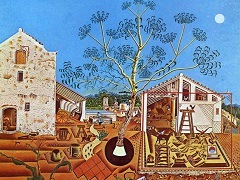 The crude drawing with its broad, black brush-strokes was not merely destructive but also produced something totally new - a physiognomical expression, like that of an ancient mask, which had been reduced to basics and which is put on for cultic purposes to conjure up magic forces. 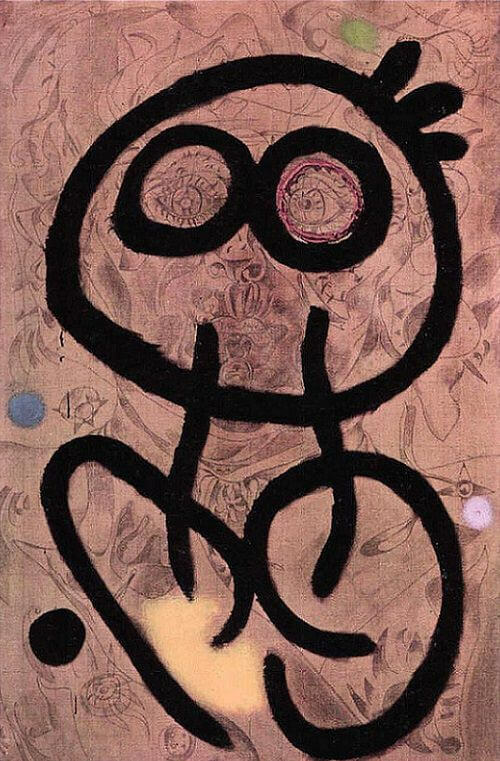 This "new" self-portrait represents a Miro who had changed completely and who, from this moment onward, developed an even greater freedom and forcefulness. 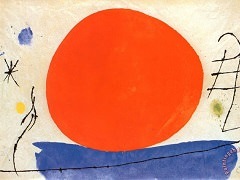 Again and again, he was to find new ways of painting, invoking art as a "magic force-field".